Once again, the anti-nuclear Ontario Clean Air Alliance ignores the facts about the feasibility of replacing nuclear power with hydroelectricity imports from Quebec. Currently, the people of Ontario benefit from the safe, reliable, low-cost energy generated at the Pickering nuclear power plant. Importing hydro from Quebec would require millions of dollars in infrastructure upgrades, and result in higher consumer prices, less energy reliability, and result in thousands of job losses. Last year’s report by Ontario’s Independent Electricity System Operator (IESO) said Quebec would not be able to supply Ontario with electricity during the winter season because it would not have enough to supply its own needs. Like all things that appear to be a cure for all ills, the real solution is somewhat more complex. Portraying hydro imports as a cost-effective baseload replacement is a non-viable solution to a problem that does not exist. Nuclear technology is helping to make history on the solar system’s icy planet. 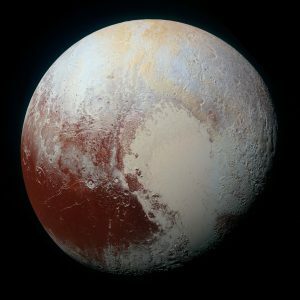 A “Pluto Not Yet Explored” stamp has pasted itself into history books after travelling more than 3.2 billion miles, over 5 billion kilometers, to Pluto and beyond. The mission has landed NASA a spot in the Guinness World Record Books. The accomplishment is no small feat. NASA’s New Horizons spacecraft was first launched just over 10 years ago, in early 2006, to study Pluto and the Kuiper Belt close-up. Cold, dark and almost 4 billion miles away from the sun meant that solar power, batteries and fuel cells weren’t viable options to power the mission. In order to reach the outer icy reaches of our solar system, NASA needed help from an energy source that could survive the most extreme conditions. So for Pluto, NASA went nuclear. “We needed a reliable source of power and we’ve put a great deal of money and research into them (the power supplies) so that was really the way to do the mission and have the highest reliability to run the space craft,” states Dr. Ralph McNutt, principal investigator for the New Horizons Pluto Energetic Particle Spectrometer Science Investigation (PEPSSI), from the Johns Hopkins University Applied Physics Laboratory in Laurel, Maryland. It’s called a radioisotope thermoelectric generator or RTG for short. Think of it as a “nuclear battery” to power spacecraft. RTGs are powered by an isotope known as plutonium-238, an artificial element which has a half-life of almost a century. As this isotope decays it produces heat which is converted into electricity. The electricity required to power the Pluto mission is about 200 watts, the same as using two one-hundred watt light bulbs. In deep outer space exploration mere seconds can make all the difference. In order not to miss out on the opportunity to capture a picture of the dwarf planet, the team of scientists instructed the camera to take pictures of a larger amount of outer space, so that they wouldn’t miss Pluto or its moons as the spacecraft flew by. Since the miniature planets discovery almost 100 years ago, in 1930, little was known about Pluto. In 2015, images of the planet sent back by New Horizons raised new questions about our solar system. The images sent back reveal glacier-like activity, among many other features, providing new information on the history of our solar system. The Guinness World Record – awarded for longest distance traveled for a postage stamp that engineers affixed to the spacecraft shortly before launch – came around the same time that NASA celebrated 40 years of robots on Mars. 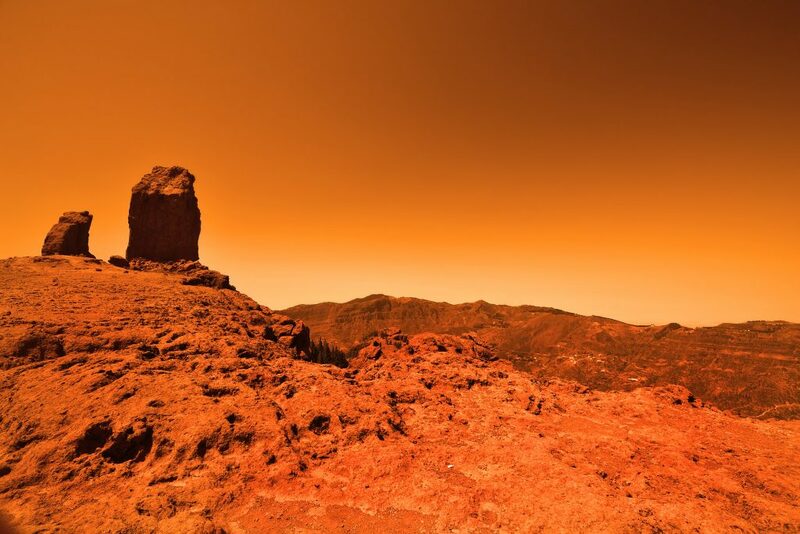 Soon, NASA will launch Mars2020 as a first step to hopefully bring back to earth a sample of soil from the Red Plant; a potential space accomplishment made possible thanks to nuclear power. Yes, you read that right. For years, there have been efforts to demonstrate that people who live near nuclear plants or work at nuclear plants are getting sick from all that darn radiation they are receiving. Over the years these stories have been debunked as study after study has shown that there is no impact from radiation from living near or working at a nuclear plant. But now a study has been done that shows that of most of the options to generate electricity, nuclear actually releases the least amount of radiation. This is documented in UNSCEAR’s, the United Nations Scientific Committee on the Effects of Atomic Radiation, most recent report to the United Nations General Assembly, on its study to consider the amount of radiation released from the life cycle of different types of electricity generation. The Committee conducted the comparative study by investigating sources of exposure related to radiation discharges from electricity-generating technologies based on nuclear power; the combustion of coal, natural gas, oil and biofuels; and geothermal, wind and solar power. The results may surprise some, especially those that strongly believe that nuclear pollutes the earth with radiation, coal with a range of air pollutants and carbon, and that solar and wind are environmentally wonderful. Coal generation resulted in the highest collective doses to the public, both in total and per unit energy. Coal radiation emissions result from coal mining, combustion of coal at power plants and coal ash deposits. The study also considered occupational doses to workers. Here is the biggest surprise. As stated “With regard to the construction phase of the electricity-generating technologies, by far the largest collective dose to workers per unit of electricity generated was found in the solar power cycle, followed by the wind power cycle. The reason for this is that these technologies require large amounts of rare earth metals, and the mining of low-grade ore exposes workers to natural radionuclides during mining.” It is important to note that in all cases these levels of exposure are relatively low and have little impact to public health. This study only addresses normal discharges during the lifecycle of the station. Possible larger releases as a result of nuclear accidents are not considered and we recognize that many will argue it is accidents and their consequences that create the largest fear of nuclear power. So why talk about this? The reality is that this information is not likely to change even one single mind on whether someone supports nuclear power or fears it. We live in a world where facts no longer matter – the only truth is the one that any one person believes. Well, we believe that scientific study remains the best way forward to establish truth and that studies such as these are part of the path forward. No one electricity generation technology is perfect. Coal is cost effective and technically strong, but is also a strong emitter of a range of pollutants (including radiation); renewables such as solar and wind are clean but their resource is intermittent and they have issues with both their front end (mining of rare earths) and disposal at the end of their life cycle. Nuclear power continues to have a good story to tell, with respect to its economics, reliability, environmental attributes and the many good jobs it creates for local economies. Concerns about nuclear relate mostly to one major issue – fear of radiation. And fear is a strong emotion that is not easily changed. But at least what we have here is another study to show that radiation emissions from normal operations of the nuclear fuel cycle is not something to fear – and in fact if you really want to minimize the collective dose to the public, nuclear power remains the option of choice. We talk a lot about the merits of nuclear power in this blog. From economics and reliability to environment, we focus on why nuclear is now and should be an essential part of our future energy mix. But how do we get there? Again, we often talk about the challenges associated with public acceptance and how we can better position nuclear as the energy solution we all know it is. But today we want to focus on something different. People. We have been privileged to work in this industry for more than 35 years. Often it’s hard to believe that this much time has passed since we were so excited to start our first jobs as a young engineers working on nuclear safety. Over the years there have been many challenges as the industry slowed, in part due to the accident at Chernobyl, in part due to the slowdown in energy demand growth in many industrialized countries, to the challenges of building capital intensive large projects into deregulated markets. But one thing has not changed; our passion for the industry – our passion for making the world a better place with clean reliable economic nuclear power. And we are not alone. At a recent industry event, I spoke to many of our colleagues, many of whom have come out of retirement again and again simply because their passion for nuclear power as a solution to meeting our ever growing energy needs is simply impossible to extinguish. Some are well into their 70s and their enthusiasm is as strong as when they were in their 30s. With nuclear power growing once again, it is time to ensure its continuity by instilling this passion into a new generation of young people. It is the fuel that will ensure the industry continues to be innovative and reaches its full potential going forward. That being said it is important to focus on what is important to this new generation of engineers and scientists; what will keep them enthused and committed. It is hard to imagine millennials thinking of utilities or large industrial companies as the growth companies of the future. Rather they think of companies like Google, Facebook and Uber when it comes to large innovative exciting companies – or they believe in being entrepreneurs and starting their own tech start-up. This ad campaign by GE (one example below) is a brilliant one as it tries to show young people that it can indeed be exciting to be in this large industrial company – that not everyone has to be coding and developing the next app that puts hats on cats – but that to truly change the world, it is the future of things like transportation and energy that really matters. I love it (There are a series of these ads, just go to YouTube and you can see more). In the nuclear industry we have the problem of a gap in age. There are many people in their 50s through to retirement age that have been in the industry for decades, and then there is a new cohort of young people who have joined the industry in the last 10 years or less. This new young cohort has different work expectations than the older group. They expect to be able to find a place and make a meaningful contribution in a relatively short time. They are impatient and expect to change jobs many times in their career. They do not expect to join one company and stay there until they retire. Yet we are an industry that believes that it takes years to learn and become an expert. We need people with 10 years plus experience and we need experts who continue to grow as they gain the experience needed to make a difference. Therefore, as industry leaders we need to understand and address the desires and concerns of those just starting out. We need to remember that 30 years ago when we were younger we quickly developed into experts as new techniques were established and we did not have the benefit of people like us to show us the ropes. We were at the leading edge and we loved working in this exciting young industry. We learned on the job. We were excited with every opportunity and put our best into developing a product that we strongly believed in. These are the conditions we need to replicate for this next generation. We need to ensure they are actively engaged, play a strong role in new projects and in innovating as the industry moves forward. We need to provide them with the opportunities they crave to develop their passion for this exciting industry. Competition for these people will be fierce and we need to show that the nuclear industry is where they can truly make a difference in the world. Sometimes as conservative engineers, or as some of the anti-nuclear activists may state – that it is not fair to leave problems for future generations to solve; we need to push back. As one quite learned colleague once said, why solve every issue – we need to leave some things for the bright young people following us to solve – because they will be smarter than we are and bring new thinking to old issues. While many think the future of nuclear power depends on public acceptance, or solving the waste issue, or improving nuclear safety; it actually depends on building a passionate next generation of young people to take it in directions that none of us has even thought of yet. Life is about passion – so let’s all work to bring out the passion in a new generation of nuclear people. The future is open to us – but only if we can attract the best and brightest people needed to make it happen. If you are under 40 and have read this post – please comment explaining why you are passionate about working in the nuclear industry. Ontario is preparing to refurbish 10 of its 18 nuclear reactors, beginning at the end of this year. This investment will extend the lives of the reactors, keeping their operation safe and effective for decades to come. It will also create thousands of jobs and inject much-needed dollars into Ontario’s economy. The project comes in at half the cost of building new reactors – and is considerably cheaper over the long term than investing in solar, wind, or gas for a similar amount of power. That said, refurbishment still comes at a cost: about $25 billion for the 15-year project. So, Ontario’s Long-Term Energy Plan for 2013, which announced the government’s decision for refurbishment, set out seven principles for the refurbishment – and everyone involved in it. The people and government of Ontario are making a large investment in nuclear power. They should receive the expected return on that investment without a great risk of having to invest further. The other six principles follow from this one. Ontario has a diverse power mix. Electricity comes mainly from nuclear power, but hydro, renewables, and gas also play important roles. The province can also buy power from other provinces or states. So, while the Long-Term Energy Plan recognizes the refurbishment of nuclear power plants as the best long-term option, the province will also look at investing in these alternatives. Ontario’s recent agreement to share electricity with Quebec at certain times of the year may create more flexibility for the province. One way of holding the operators and contractors to account involves “off-ramps” – contract terms that allow the province to limit or stop the project if it goes over budget. As the private-sector operator involved in the refurbishment project of the Bruce power plant, Bruce Power must ensure that the refurbishments stay on schedule and within budget; the company will not be in a position to simply pass additional expenses on to ratepayers. Likewise, Ontario Power Generation (OPG) is contracting much of the refurbishment at the Darlington station to more specialized companies. A slowdown or cost overrun for any one of them could affect the overall timeline and budget. So, these companies are being held accountable as well. Robust project management is at the core of the refurbishment project. For example, at Darlington, OPG did an environmental assessment, which showed that the refurbishment would not have any significant adverse environmental effects. A safety review also demonstrated that the Darlington plant meets modern codes and standards and follows sound industry practices. Safety improvements recommended by both these assessments are now part of the Darlington Integrated Implementation Plan. Finally, an overall risk assessment demonstrated that Darlington is a safe and reliable power plant, and will continue to be after planned safety improvements. Similar measures are underway at the Bruce facility. 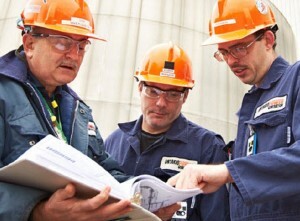 The refurbishment project will begin with two reactors – one each at the Bruce and Darlington facilities. Through the 15 years of the project, no more than three reactors are planned to be under refurbishment at any one time. This will provide opportunities to assess each refurbishment, learn from it, and apply those lessons to the next ones. Even the first refurbishments will benefit from experience – such as refurbishments at Bruce Power, at Point Lepreau in New Brunswick, and at the Wolsong 1 reactor in South Korea. OPG has also created a full-scale replica of the Darlington reactor vault for testing tools, training, and ensuring that the teams can coordinate in real time.